Whether you have a smaller, eight foot fishing boat or need a 14 foot boat trailer for a larger model, you can find the options you need right here at Magneta Trailers. Our boat trailers are specially made to help you easily and safely tow your boat and get out on the open water and enjoy more fun in the sun. Our Economy A Frame boat trailer, for instance, will work well for boats up to 14 feet in length. 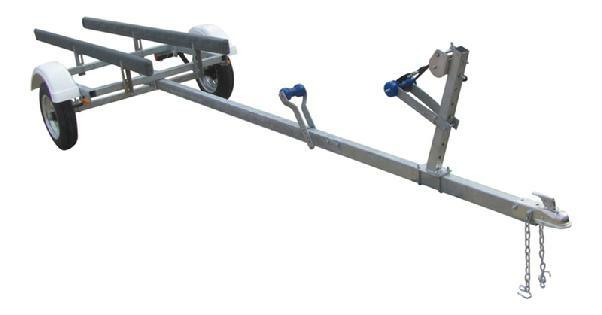 These conventional boat trailers are among the best you’ll find for easy towing and safety as you drive and for your boat as it is pulled. You can reach out to us at our factory to learn more about the specifications or to ask us about customization to accommodate the crafts you need to tow. 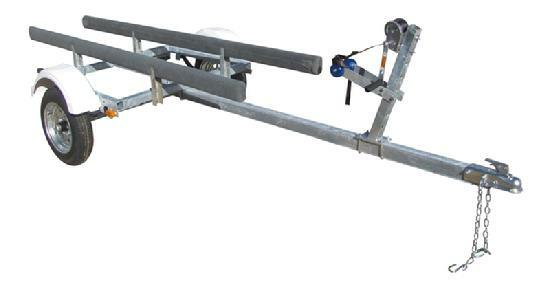 Be sure to also check out our kayak and canoe trailer options, which can be made for just one vessel or up to six. * Adjustable bunks can move up / down - side to side. * 2"x2" adjsutable winch post. * US DOT Approved lights. HD 480X12B TIRE UPGRADE OPTION - Includes both tires & wheels premounted. * 600 pound winch and strap. * 1100 pound winch and strap. * 3"x3" adjsutable winch post.